New research, published in Nature Scientific Reports, conducted by the University and partners highlights effective methods for identifying a common side effect in children receiving drug treatments for Cystic fibrosis. 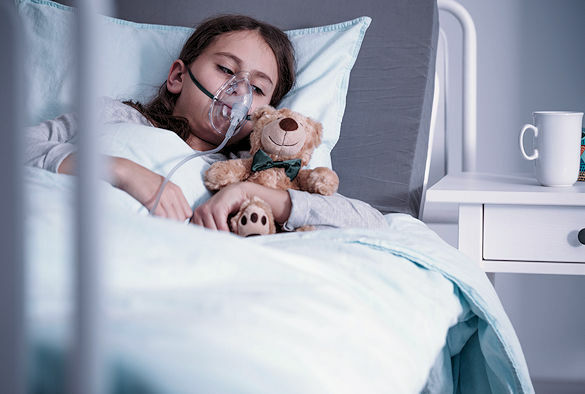 The genetic disorder, cystic fibrosis (CF) is characterised by secondary bacterial lung infections, often by a specific resistant bacteria, Pseudomonas aeruginosa. Antibiotics known as aminoglycosides have good efficacy against this bacteria and are often used to treat these infections. However, aminoglycosides are potentially damaging to the kidneys. Despite risk reduction strategies, current or recent aminoglycoside exposure is strongly associated with acute kidney injury (AKI) in children with CF. Current methods for assessing kidney injury rely on the measurement of serum creatinine, a measure of kidney filtration. Unfortunately this method only highlights injury once significant damage has already occurred. This is particularly dangerous for children. To identify patients at increased risk of kidney damage there is a need for the development of improved biomarkers that not only reflect the site of toxicity, but can identify damage at an earlier stage than currently possible. To help identify biomarkers, researchers from the Universities of Liverpool and University College London, recruited more than 150 children and young adults up to 20 years of age with a confirmed diagnosis of CF. The participants provided urine samples for measurement of specific proteins, KIM-1 and NGAL, at regular outpatient appointments, and before, during and after exposure to clinically-indicated treatment with anaminoglycoside. The researchers found that the concentrations of both KIM-1 and NGAL increased during exposure to an aminoglycoside. These increases occurred in the absence of increases in serum creatinine, and therefore likely represent renal damage without loss of function, commonly termed ‘subclinical AKI’. The baseline (before treatment) concentration of KIM-1 increased with cumulative lifetime aminoglycoside exposure, suggesting it may also identify chronic renal damage. The study was led by Dr Steve McWilliam a National Institute of Health Research Academic Clinical Lecturer in Paediatric Clinical Pharmacology from the University of Liverpool’s Institute of Translational Medicine based at Alder Hey Children’s NHS Foundation Trust. The full paper, entitled “Urinary Biomarkers of Aminoglycoside-Induced Nephrotoxicity in Cystic Fibrosis: Kidney Injury Molecule-1 and Neutrophil Gelatinase-Associated Lipocalin”, can be found here.